New Steelbird SBA 1 Free Live helmet series launched | IAMABIKER - Everything Motorcycle! 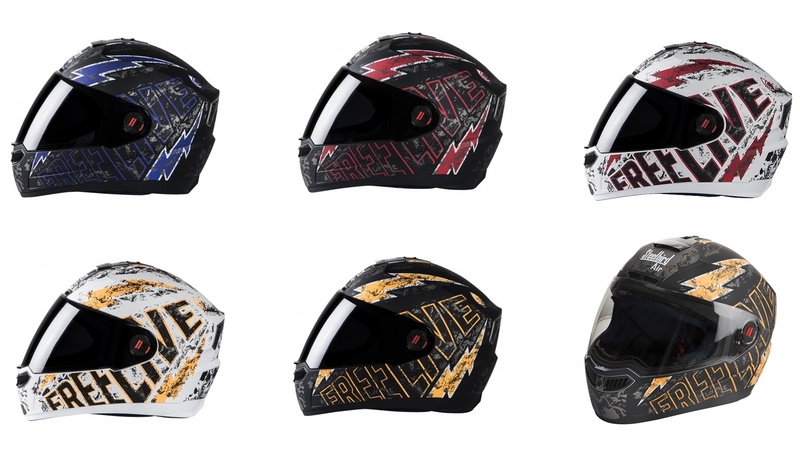 Steelbird Helmets have launched the SBA 1 Free Live series of Helmets in India. These helmets will be a new model range under the AIR Series of helmets from Steelbird. The company claims that they are the world’s first patented Air ventilation technology helmets in India. The Steelbird helmets with air flow keep the head cool while riding in high heat and humidity, both which are fairly extreme in most areas of the country. Currently the country’s largest helmet manufacturer, Steelbird had designed and developed helmets with ventilation technology which allow air to pass on through the head and keep it cool. The technology was developed by Steelbird R&D centre in Italy especially for Indian climates. Test reports have reportedly shown a drop of 4-5 degrees inside the AIR series helmets while riding a two wheeler. Steelbird Group, Sales & Marketing Head, Mr. Shailendra Jain conveyed that this helmet has 3 Air-Ventilations to allow air in and one exhaust vent for hot air to flow out. There are well defined air channels provided in the EPS for inflow and outflow of the air. The most unique feature of the Steelbird AIR is its revolutionary ventilation system. Cool AIR goes in through these three ducts and the EPS rigs ensure that the AIR does not get trapped, but circulates, cooling the head. Using the special exhaust vents at the back, the warm air is let out – leaving behind a fresh cool ambience for a comfortable ride. Steelbird helmets have taken a step forward in helmet design in a country like India where motorists are largely unaware of helmet fit, shell compositions or even look out for features such as venting, washable cheek pads or lockable visors. Price is the most important concern and there are helmets being sold dirt cheap on the streets to motorists who are unaware of how little crash protection they offer. Furthermore, it makes them look down on helmets offering advanced features as marketing gimmicks or unwanted luxuries. Bringing features such as venting, fog-free and UV treated visors and the like to helmets at an affordable price point will really help convince the public of the virtues of a good helmet. Steelbird helmets have made the AIR series available in 14 designs in various colors and attractive graphics. The helmet is being sold through online and retail channels across India priced at INR 1799.